Love is well and truly in the air and while you might not feel it fully yet, with Valentine’s Day just over a couple of weeks away, now is probably the time to get everything in order and to ensure that you have an unforgettable experience come this February 14th. And we here at Decoist, are obviously hell bent on making certain that you get an access to ample ideas and inspirations, so as to ensure that you have an evening that is both memorable and unique. 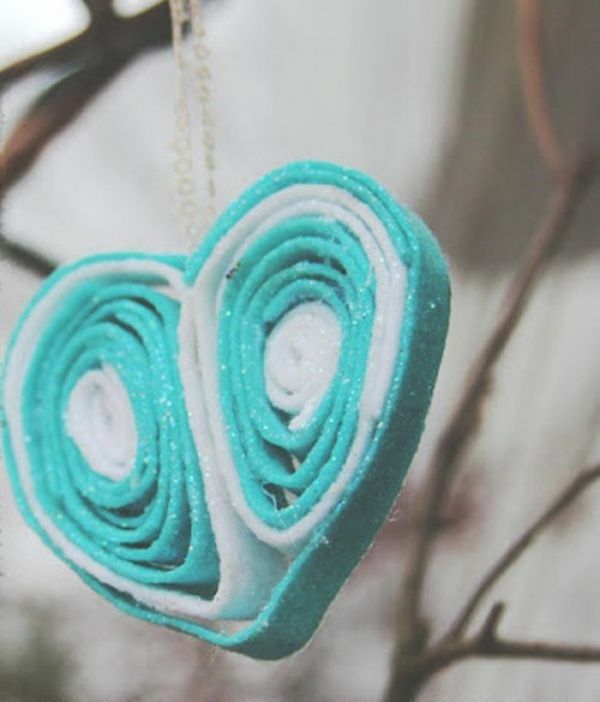 Heart garlands are incredibly popular not only because they are a treat to the eye, but simply because they are often easy to create and you can improvise and create amazing array of designs with simple materials and with bare minimal craft skills. 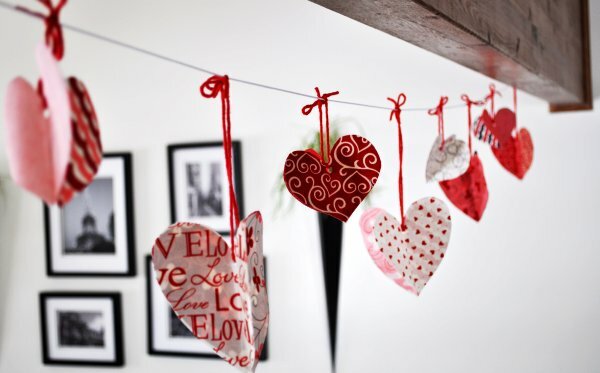 The collection of heart garlands here, along with beautiful wreaths fill up your interiors in glittering tones for Valentine’s Day this year and signal the arrival of the season of love with gusto galore. 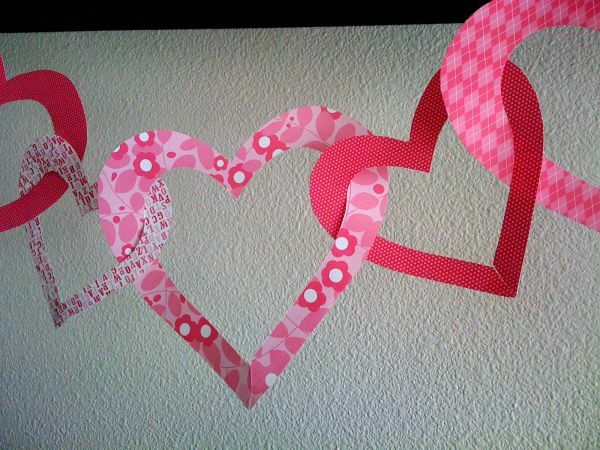 These intertwined hearts seem to be the ultimate symbol of love and in the case of this particular style of garland; you can use both card stock and paper as the crafting material. They are pretty easy to create and will give your interiors a lovely new look that is both airy and vibrant. 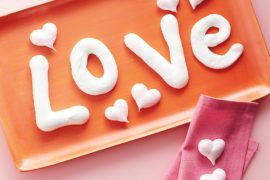 Learn how to craft this Valentine’s Day special as Martha Stewart takes gives you the necessary details. 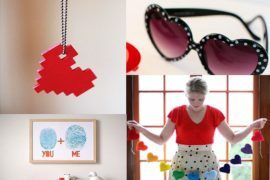 This unique paper heart garland is dubbed as the ‘hearts on a string’ and while there can be innumerable versions of it on with improvised changes, these Valentine’ Day- themed garlands are easy to craft and look sophisticated and stylish when done. 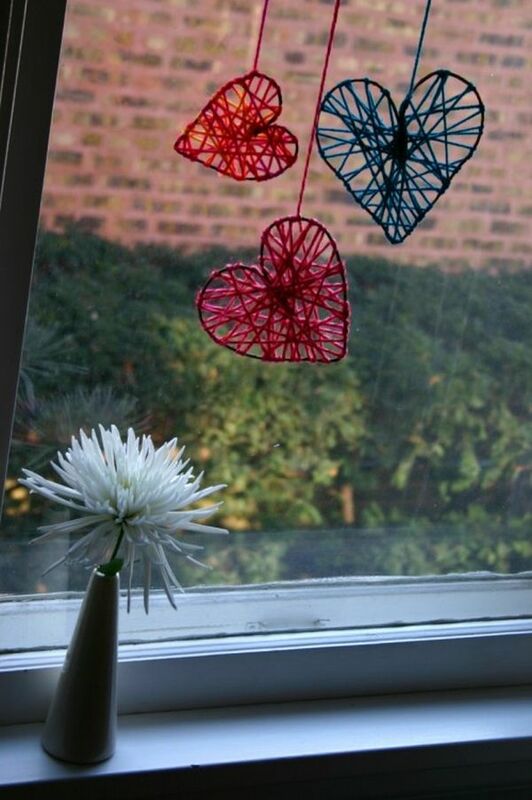 All you need is beautiful paper, a pair of scissors and a thread that disappears into nothing as the DIY guide shows. 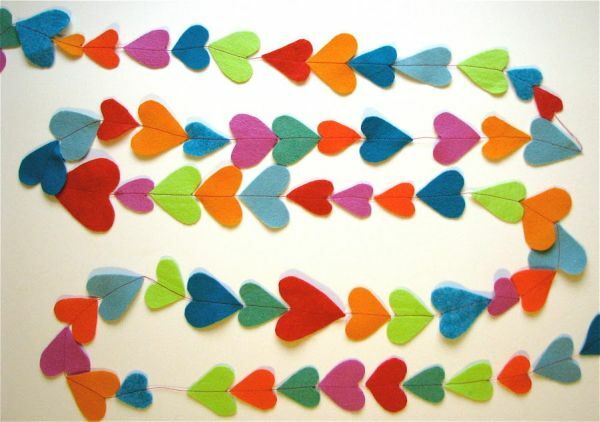 If you were wondering on how to recreate that colorful and vivacious little garland that you saw right at the top, then worry not as you can simply head over here to create one of the easiest and brilliant heart garlands ever. A bit of cutting and a bit of sewing is all you need to do and of course, you are free to use any and all colors of your choice! 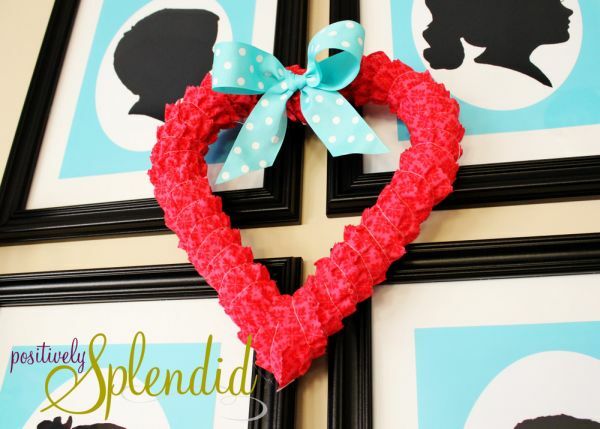 The heart photo ornament is definitely one of our favorites not just because of its beautiful form and flowing elegance in its design, but simply because no other Valentine’s Day garland idea can get more personalized than this! All you need is lovely pictures of your loved one and the best part is that if you have a little kid at your home, this will definitely make their day. 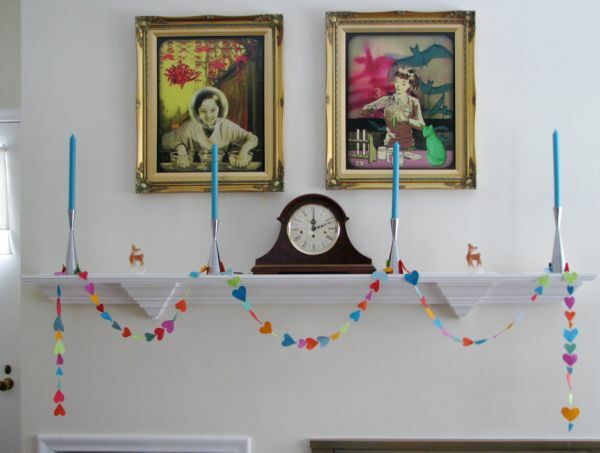 Check out how to get the garland done and give it a shot for sure. How can there be a celebration of love without a touch of sweet delights to ring in the good times? 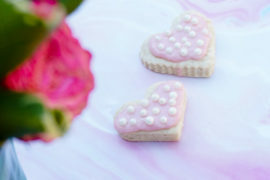 That is precisely why we have the likes of ‘Bonbon- filled hearts’ and ‘Valentine Lollipop Cookies’, which not only cater to your taste buds, but also ensure that, they look great as additions to your dining table arrangement or even the kitchen wall. 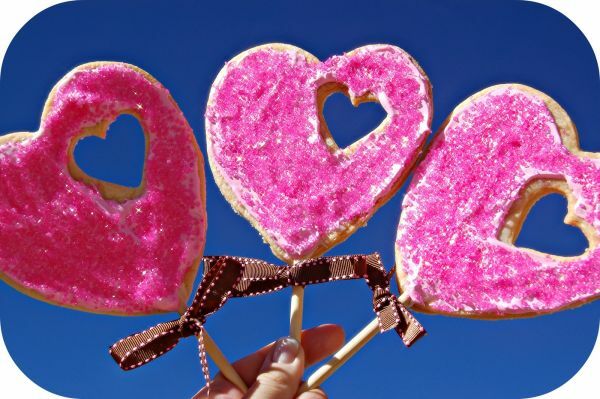 Valentine Lollipop Cookies in Pink- A heart within a heart! So, you think all this cutting and pasting, the scissors, the paper and the glue are simply not your style? 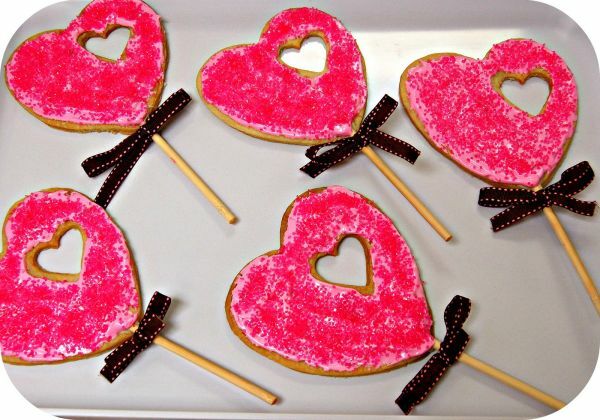 If spending time in the kitchen is what you love and if your loved one has a sweet tooth, then how about going in that direction by creating the Valentine Lollipop Cookies. Whether they are in pink or in red, they sure do look delightful indeed! A tasty way to unleash a surprise on your unsuspecting loved one, the Bonbon-filled hearts can carry within any candy or chocolate delights of your choice. Since, chocolate is such an integral part of the Valentine’s Day celebrations, this is one idea that brings together both a visual treat and a treat for your taste buds. 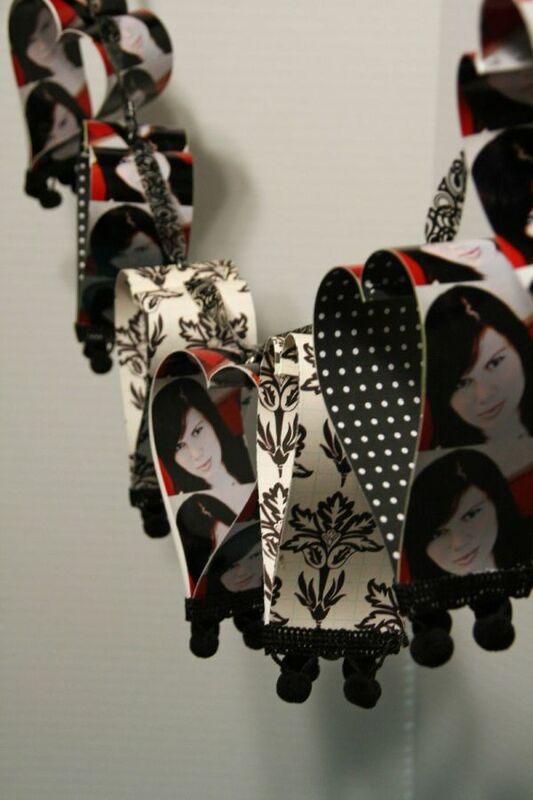 You can hang them pretty much anywhere and crafting one of these is not hard at all, as you would find out here. How about prepping up your beautiful evening dinner with an addition to the table that is both custom-crafted and simply stunning? 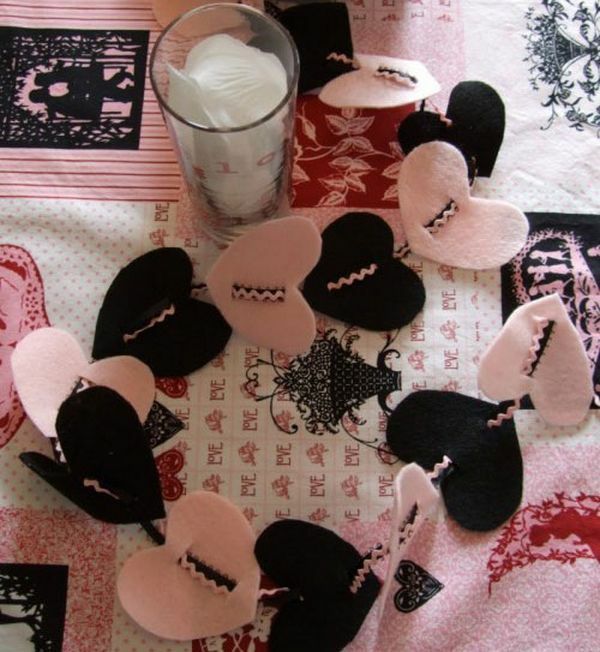 This little pink and black garland seems stylish, cute and carries with it a lovely sense of coziness as well. Just place it on the table around the exquisite scarlet roses and it makes for a fabulous surprise. If you are using a different color pattern for your table, then you can choose similar tones and follow the same process to create version of this heart-filled glee. 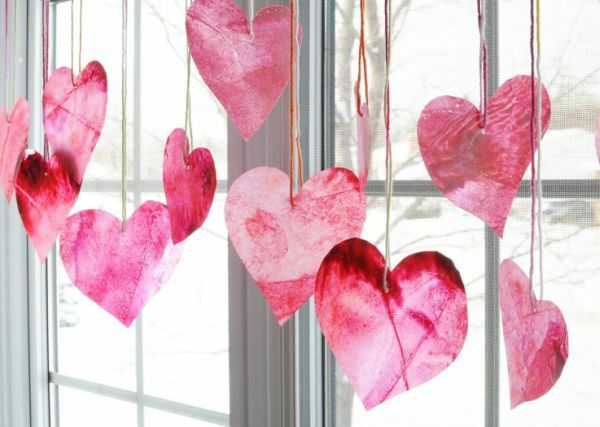 Dazzling Crayon Hearts are a perfect way to steal someone’s heart in an instant! Crafting great gifts is all about bringing the best of your own creativity along with the tastes of the person you love together. That is precisely why we have tried to offer as much variation as possible so as to ensure that you will be inspired to create something that is as close to the ‘perfect gift’ as possible. From glittering ‘Crayon Hearts’, to art specimens and even heart knits, you can pick one depending on what your favored skill is. 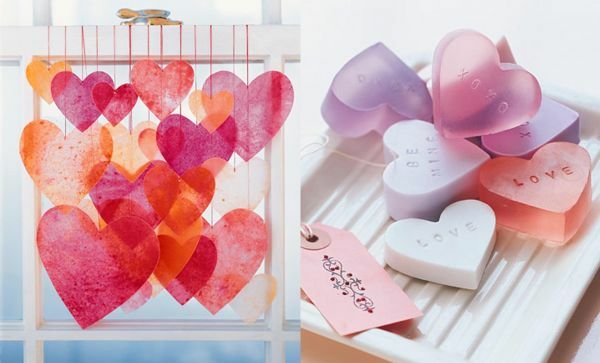 Call them ‘Crayon Hearts’ or call them ‘Heart Strings’, no matter which version you prefer to create, they make for the most visually appealing crafted gift with heart motifs. All you need is your old crayons, a bit of color sense, a lovely window with sunlight beaming through and a bit of time on hand. They look as stunning in reality as they do in the images and they will steal a heart or two for sure. 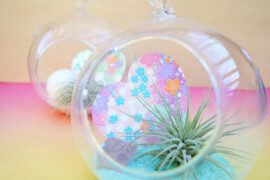 Learn how to craft these and open up a whole new world of glittering joy. We assume that a crochet project takes a bit more of skill and while some of us might not be so gifted, we are pretty sure many of our readers would be more than willing to give this crochet art work a shot. 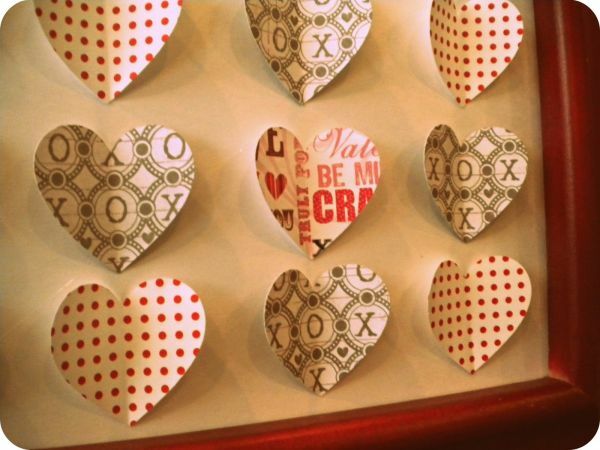 Adding crochet edge to paper makes for a great Valentine’s Day gift and you can go ahead and decorate it any way you like as well. A plush little pillow with an adorable pink heart on top of it; we assume there is very little else that needs to be said to prove that this is a perfect gift for your girl. 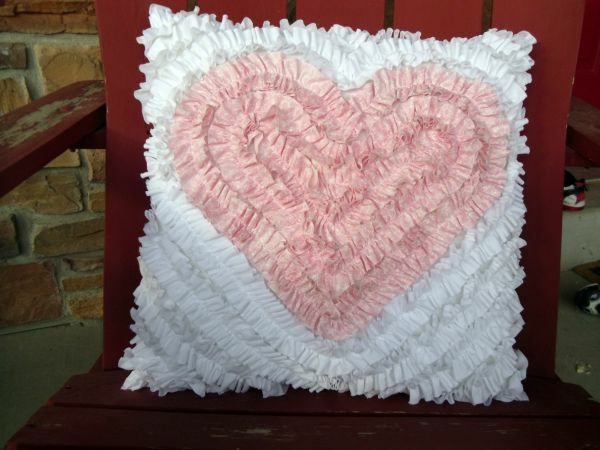 The Ruffle Heart Pillow might not be the easiest thing on our crafts list, but in case you just had a fight and need something that will win extra brownie points, this is it guys! Check out how its DIY instructions and you will be tempted to give it a try. 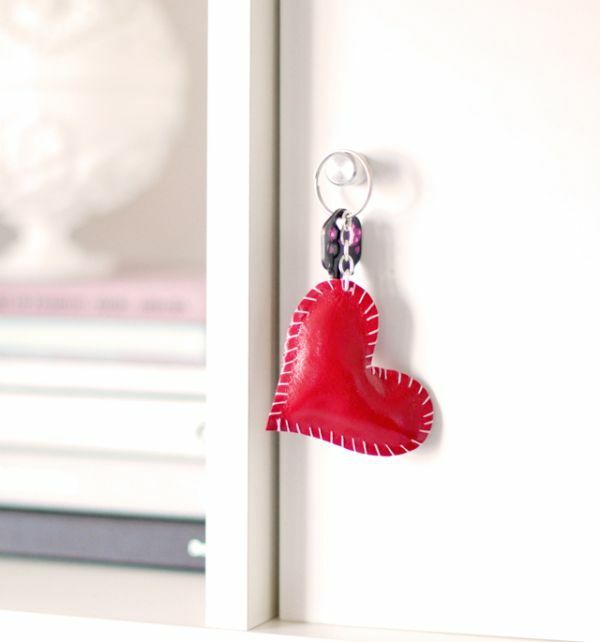 A leather heart key ring is a wonderful gift idea if you want your loved ones to carry your present at all times. It is practical, cool and if you wish to add details to the already beautiful craft, then you could even etch in a few initials as well. Another one of our favorites on the list (yes, we love one too many! 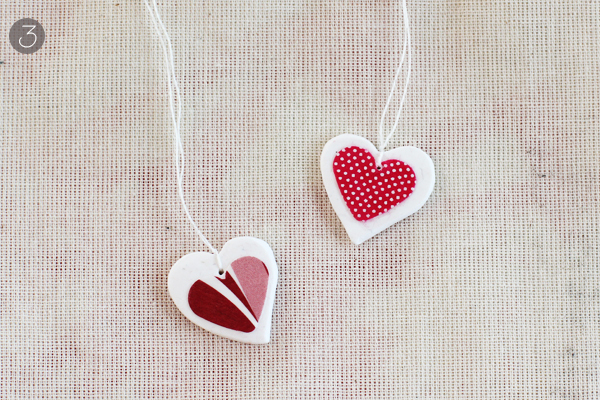 ), the Decoupage Heart Necklace is a classic gift idea combined with a personal twist to ensure that you present a heart-warming souvenir that is close to the heart of ones you love- quite literally. All it needs is some basic cutting skills and you can check out the details to devise a design of your own. 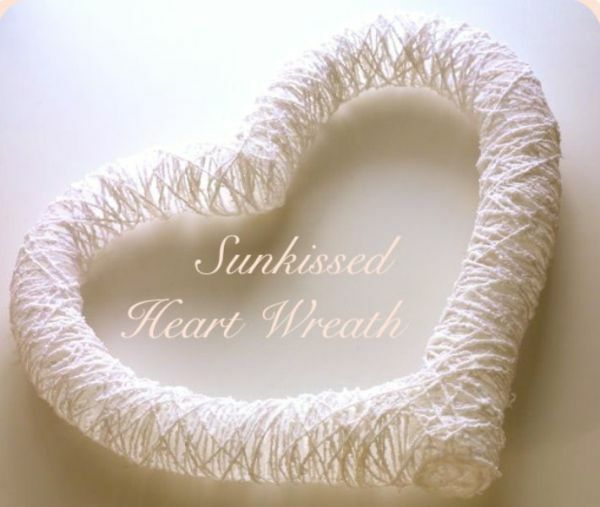 Divine- is the one word that we can think of when we talk about the stunning sunkissed heart wreath. The all-white look has an almost ‘angelic’ feel to it and it just seems like a marvelous addition to any modern home, Valentine’s Day or otherwise. Celebrate your undying love this Valentine’s Day with this dazzling creation and while you are at it, we suggest you try a similar one in scarlet as well. 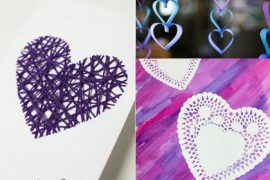 The Valentine’s Day embroidery hoop wall hangings might not be shaped like a heart themselves, but there is nothing stopping you from turning that round silhouette into a heart-shaped one. There is plenty of pink here and the word is that once you do start with the embroidery hoop hangings, you will be hooked. 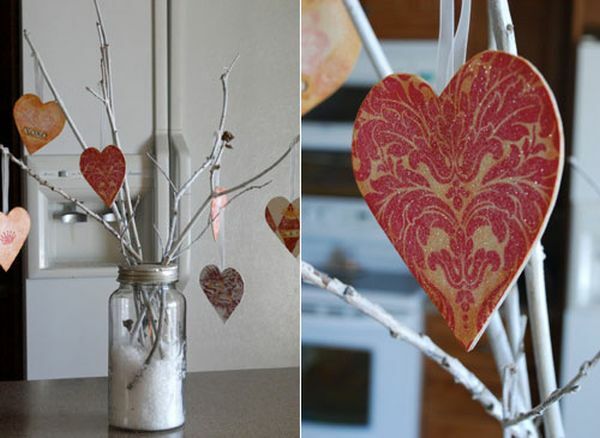 A Valentine Tree to help express your love with a natural twist! None of these ideas are relegated to girls alone; in case the guys out there were thinking using that as an excuse to get out of it all. So, maybe over the next weekend or two, you can switch off the TV and get to work on one of these. Trust us when we say this, nothing gives as much pleasure as presenting a gift that has been crafted with your own hands and the reaction you get, will most often, more than make up for all the effort that has gone into it. Give it a shot this year and you will be hooked- in more ways than just one! 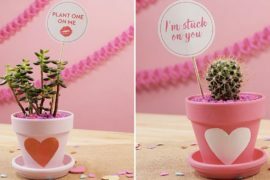 A Valentine Mantel with a stunning heart wreath at its core and its maker says that you can pretty much pick it off from where you left it off during Christmas and New Year. There is no need to purchase any of the stuff and you can also craft the wreath with ease. 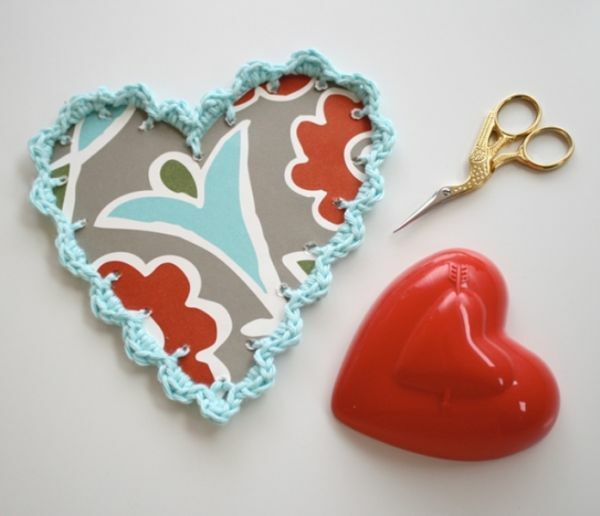 The DIY Felt Heart is really a great variant for decorating your house come Valentine’s Day and the best part is that it makes for an exquisite and compact gift as well. The most important ingredients are strips of felt and some starch and you can again chose any shade of your choice. 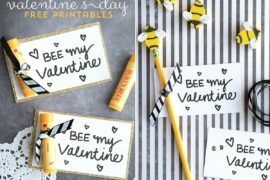 The Valentine’s Day Place Mat is an idea that can be upgraded or downgraded depending on who is making this crafty little item and whom it is being made for. From the model on display, you would obviously be convinced that it can be crafted by almost anyone and you can use pictures and memorable stuff (say like ticket stubs from that special day in the past), to create your own place mat. 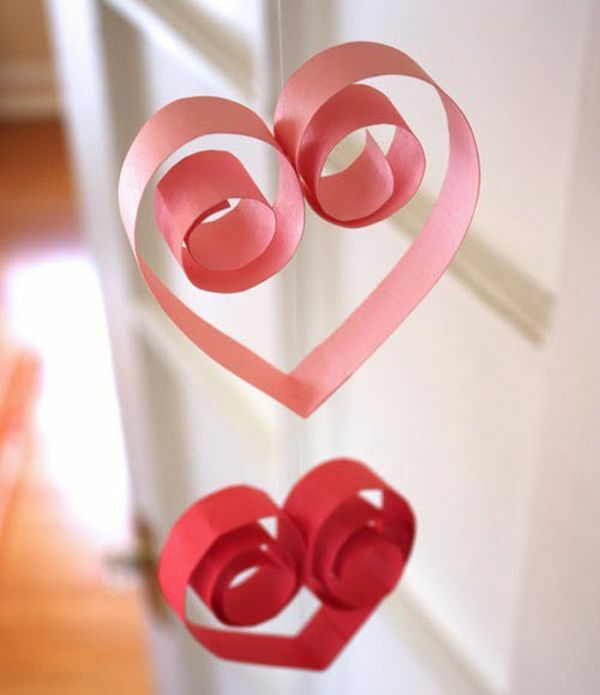 The Cockscomb Valentine Wreath is the perfect symbol of Valentine’s Day celebrations- a full heart with plenty of love! And while this one here looks amazing in itself, you can always swap the centerpiece with red roses to ensure that you create a more romantic look. Valentine’s Art Specimens might have been done in lot of different ways before and here is another fine example of how less is more. This style of design borrowed from the 60s and the 70s looks cool in most modern homes and the end result looks all the more appealing if you place it among some lovely heart garlands and red roses. 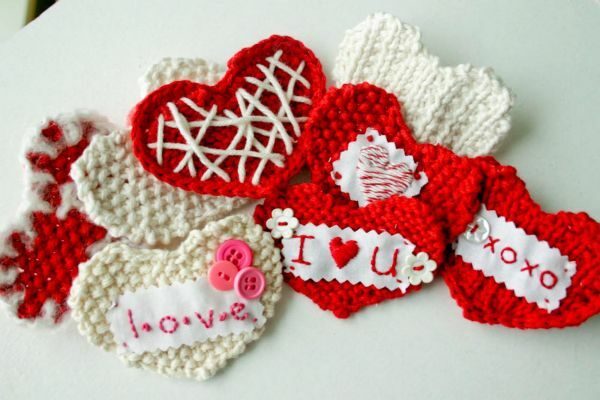 Let us be plain and honest with you by saying that creating the Valentine heart knits are not the easiest things to work with if knitting is not your thing. 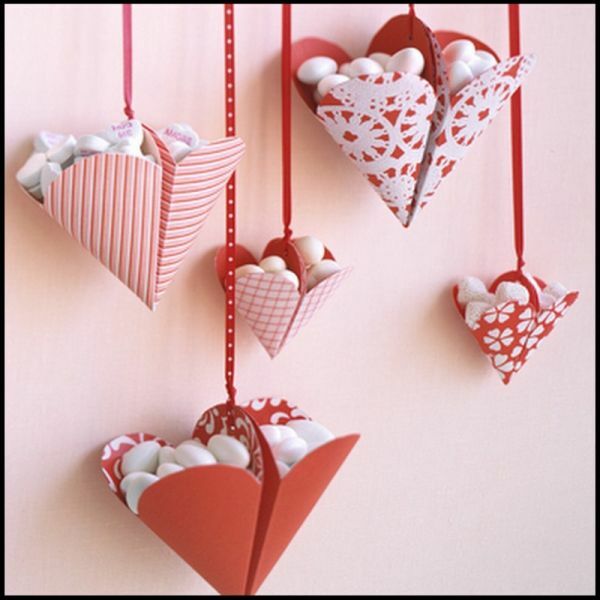 But, in case you are pretty adept at it, then these will make a delightful addition to your V-Day décor. As we get close to wrapping up this crafts edition, here is something that will bring the Valentine’s Day flavor tour doorstep. 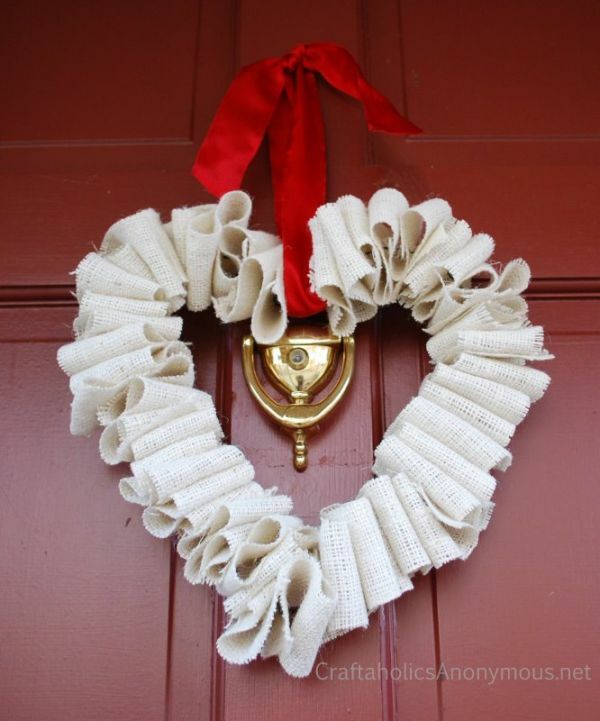 The White Burlap Heart Wreath is a bit different from the monotonous wreaths crafted with red roses and helps your home get its own distinct identity. Pick up some wire and burlap and get going. 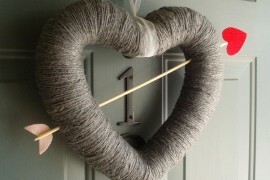 The Yarn hearts are uber-easy to work with and while they might not be as sophisticated as some of the others on the list, they are ideal for those who might have very little time on their hands or prefer the rustic look to grace their interiors. All your need is floral wire and some colorful yarn and you are pretty much set.